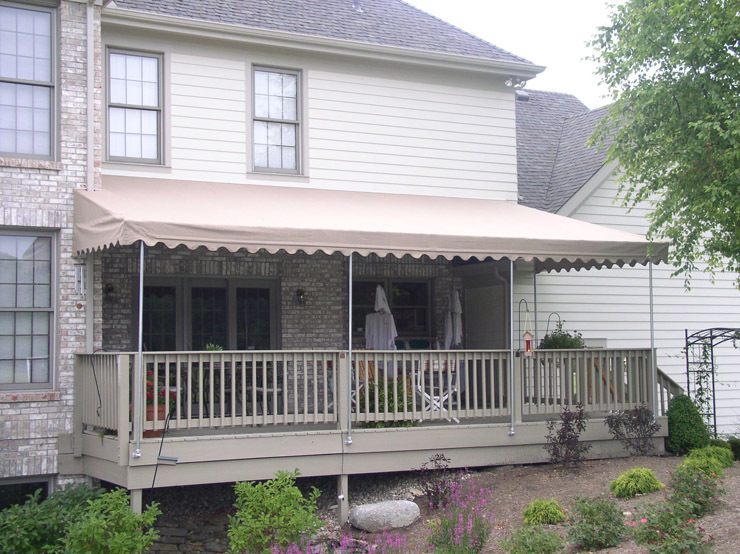 Do you have a bare patio or deck canopy frame or aging window awning? We can help with custom fitted recovers. We offer a Winter Service Program for seasonal canopies. The service includes take down of the cover in the fall, storage it in our warehouse over the winter and installation of the cover in the Spring.